Expert Installers – Aluminum siding provides a durable exterior finish on buildings of any size, but requires expert installers to capture maximum benefit. Bolechowski Construction LLC offers fully trained and experienced contractors, skilled at working with aluminum siding and all related components. 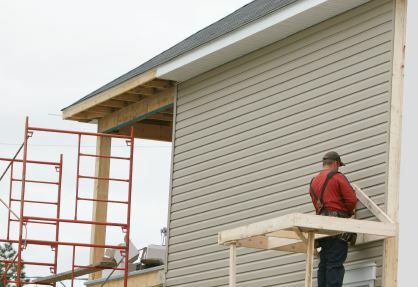 Bolechowski Construction LLC has worked in the region since 2008, providing residential, commercial and industrial clients with skilled installation of long-lasting aluminum siding. Competitive Rates – Add value to your property with quality-made aluminum siding from leading manufacturers, installed and service by Bolechowski Construction LLC at competitive rates. Our prices fall in line with other local expert installers, and Bolechowski Construction LLC service provides extra value for your dollar. Ask about our warranty coverage and affordable options to help keep your home improvement project on budget. Prompt Service – Aluminum siding protects the interior of your home or building, an effective barrier against moisture, heat, cold and critters. Call on Bolechowski Construction LLC to provide prompt aluminum siding installation and service. Bolechowski Construction LLC helps you stay on schedule with new construction or take care of siding repairs right away with expert care and quality materials. Serving the local region with expert installation, competitive prices and prompt, efficient service, Bolechowski Construction LLC is the contractor to call for aluminum siding repairs and installation. Our expert staff is always ready to answer your questions and arrange for a free on-site estimate. Call (651) 237-3491 today for more details.